35018 British India Line & 47760, 1Z37, Hest Bank, Sun 2 December 2018 1 - 1108. 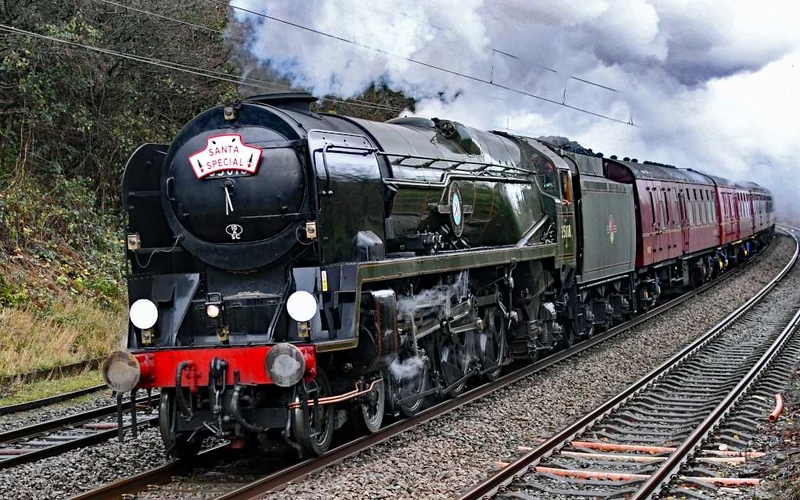 WCRC's second 1100 Lancaster - Carlisle Santa Special charges north. It ran via the Upperby chord for water and to reverse at Petteril Bridge Junction so that it reached Citadel with BIL facing south ready for the return. The 13 coaches were 99312, 99723, 4905, 4951, 4994, 99329, 5035, 4960, 4854, 4973, 99318, 99316 & 3058.